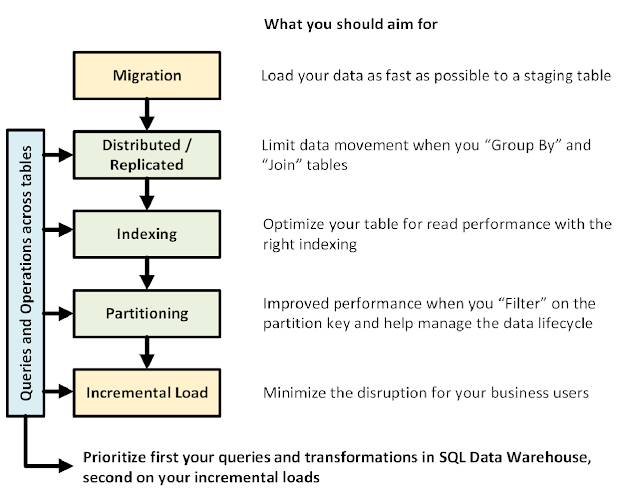 The data warehouse design process is summarised in this diagram. 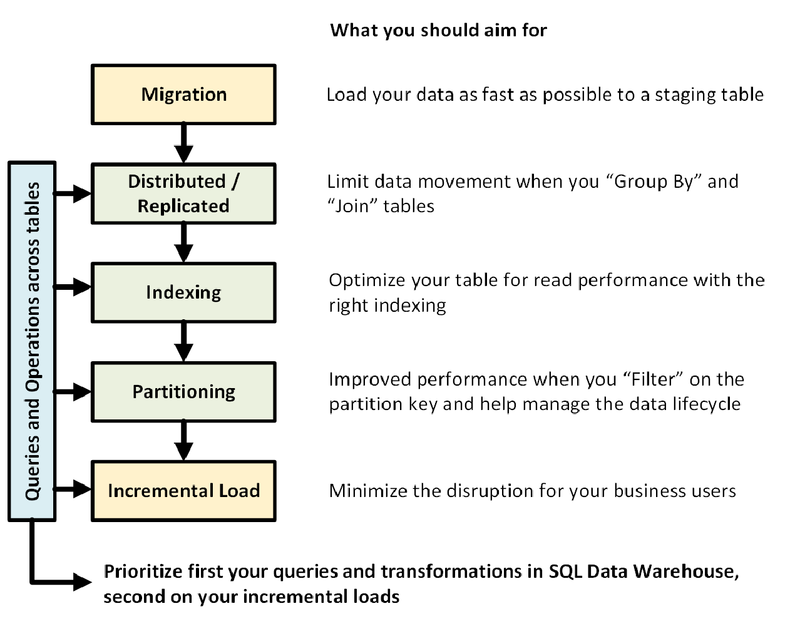 The cheat sheet provides a useful way demonstrate best practices when building Azure SQL Data Warehouse solutions. The various links within the cheat sheet provide more information. Extract, Load, and Transform (ELT) process.